Target is introducing their first private line of nail polish, beginning January 17! Read on for more. January 6, 2016 - Looking for a long-lasting mani/pedi but don’t want the hassle of UV lights or have time to get to the salon? Searching for a stellar selection of colors that come with a sweet price tag? We were too! 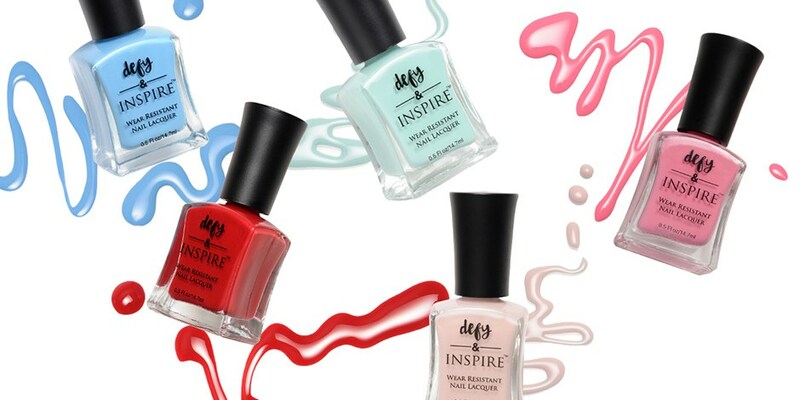 That’s why we’re launching defy & INSPIRE, a new nail care collection available exclusively at Target. At just $7.49 a bottle, defy & INSPIRE features 38 stunning shades—all featuring tongue-in-cheek pop culture-inspired names like “Rose Ceremony” and “Real Housewife”—as well as a base and top coat. Plus, the line boasts a patented formula that delivers a no-chip mani/pedi without the hassle of lights or other tools (Read: you can take the polish off anywhere using any traditional nail polish remover! ).